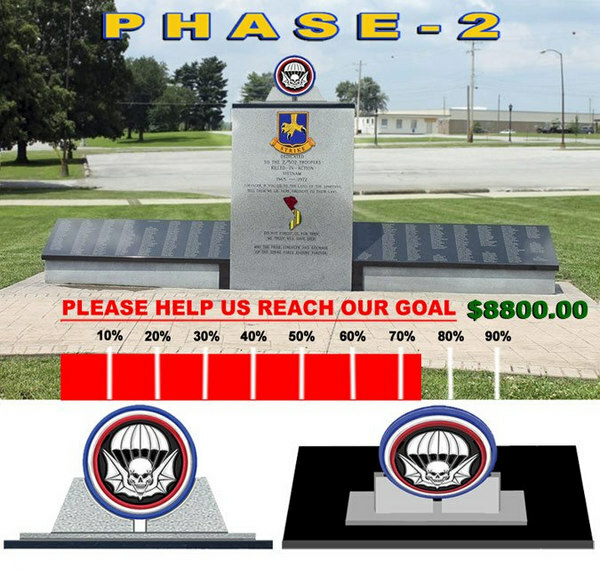 Click on the image for information about the Strike Force Memorial Phase 2 and a request for donations. 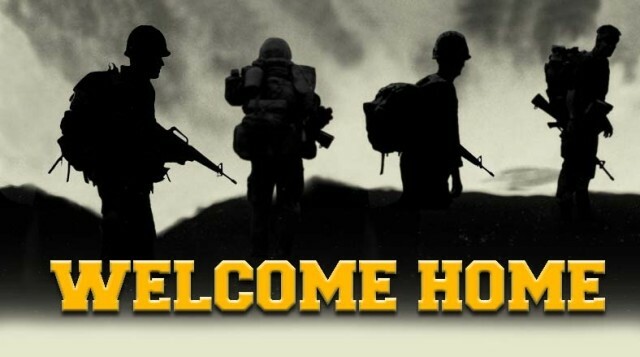 Welcome Home to the Home Page of the O Deuce Widow Makers of Viet Nam. This page is for you. We welcome your contributions of memories ( Sign in to our Guest Book), photos (Check out the Photo Gallery), friendship (keep coming back to see when the next Reunion will be), and Donations. 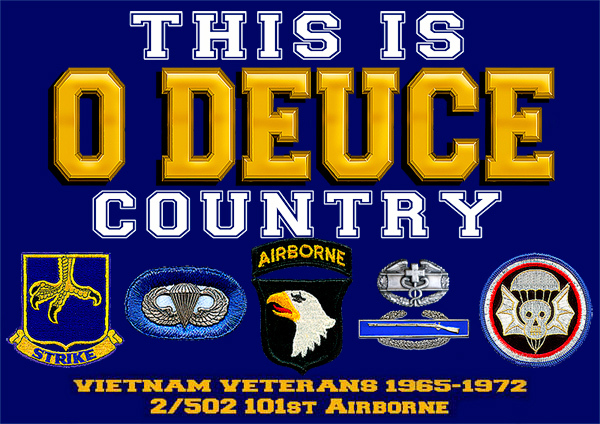 The 2nd Battalion of the 502nd Infantry Regiment (often referred to as the 'O Deuce') was part of the 1st Brigade of the 101st Airborne Division in Vietnam. The 1st Brigade of the 101st was one of the first major units in Vietnam - arriving by boat in July 1965. 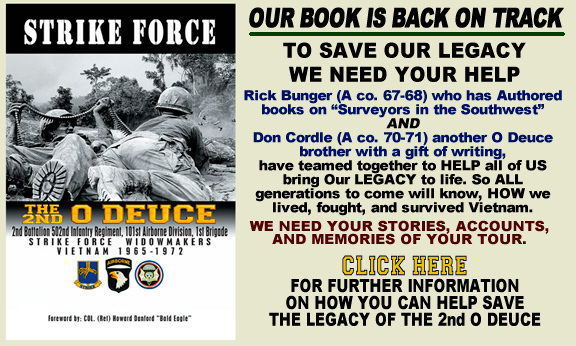 The O Deuce was on that boat as part of the 1st Brigade, and remained in Vietnam until 1972. The historical average "time in combat" for WWII Infantry Soldiers was 40 days, and in Vietnam they give 240 days as the norm or average. In the O Deuce the norm was much closer to 330 days - in a 365 day tour. We lived "in the bush", and saw the "rear area" for only a couple of days at a time, often a month or more apart. "A couple of years ago, if you had mentioned Viet Nam to me, I wouldn't have even talked to you. I was over and done with that. I finally came to realize that there was a big piece of me missing, and you guys are that missing piece." There is also a Yahoo Groups Strike Force VN Discussion List.